Can’t afford globally experienced resources in your management team? Are you able to leverage the power of ‘Digital Marketing’ in your business? Today, the biggest challenge for every company is to create their unique identity in front of their customers, prospects and other stakeholders. A Digital marketing company can be sought after to help position your company and brand in a stronger platform. Startup Xperts is a business consulting and digital marketing company -that helps companies to carve a niche for their services; position themselves ahead of their competition and present themselves as a thought leader in their space. With Startup Xperts that specializes as a business consulting and digital marketing company, you can leverage the best of brains to generate ideas and implement digital marketing strategies ensuring success. Whether you need support on inbound or outbound marketing, Startup Xperts can either work with your existing team or drive your marketing initiatives through their dedicated digital marketing experts. 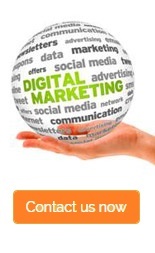 Startup Xperts, as a specialist digital marketing company, can help you in all aspects of digital marketing, incl. inbound marketing, outbound marketing and gorilla (guerilla) marketing activities but driven with unique strategy that delivers results. Our specialist digital marketing consultants help startups and small businesses to step up their brand image, boosting revenue and building growth momentum like never seen before. Our Digital Marketing Consultants helps to create specific digital marketing strategies and plans for you which covers all phases of your initiative – right through research, execution, and sailing stages. How Startup Xperts can help with Digital Marketing Services in Chennai, India for Small Businesses? Most digital marketing initiatives of small businesses and startups fail. Primary reason is attributed to not having an effective strategy (many a times, zero strategies). Digital marketing strategy plays 70% role and the execution plays only 30%. We understand what needs to be done for a specific business that will give them the right impact for their shoe string budgets, and devise a digital marketing strategy that is tailor-made for them, rather than a one-size-fits-all approach which is predominantly an old-style, traditional, ineffective way of performing digital marketing services.